The idea that acting aggressively in a way that does not actually harm anyone feels “good” and removes the wish to lash out against an actual victim is so popular that it has been turned into a successful business idea. In 2008, the first “Anger Room” was opened in Texas, setting an example that has been followed in other parts of the world (e.g., Germany, where an Anger Room was opened in the town of Halle in 2014). As noted on the company website, the Texas Anger Room was “established to provide an alternative to seeing a ‘head doctor’ or talking it out when you’re having a bad day.” Customers can choose between a five-minute “short break,” a 15-minute “lash-out,” or a full 25-minute “demolition,” with prices ranging from $25 to $75. During this time, they can destroy a wide range of items, supplied by donations of unwanted household items of all sorts. The alleged prosocial nature of engaging in this form of destructive behavior is also explained on the Anger Room website: “We all get angry, we’re human, so why not do everything you’ve dreamed of doing when you’re mad without paying the insane cost and severe consequences of your actions”. But do Anger Rooms really work as intended? The very expression of “letting off steam” to return to a calm and nonaggressive frame of mind when angered both inspired and popularized Lorenz’s “steam boiler” model of aggressive behavior . A similar notion is contained in the concept of “catharsis,” dating back to Aristotle’s work, who argued that the spectators of a theater play, by watching intense emotions unfold as part of the plot, could tone down their emotional reactions in real life. So it may not be surprising that the idea to get rid of aggressive action tendencies by releasing them in an allegedly harmless way is firmly rooted in laypersons’ thinking and highly resistant to change. As intuitively appealing as the idea may be, there is sound scientific evidence to quote against it. Conceptually, if acting out their aggressive impulses makes people feel good, this can be explained as a classic learning mechanism by which associations between aggressive acts and positive emotional states are formed. As a result, future aggressive behavior becomes more likely, as people seek to repeat the positive emotional experience. In support of this reasoning, a study showed that the more their participants’ heart rate decreased after engaging in an aggressive act, the more aggression they showed in a subsequent situation . Moreover, acting out one’s anger by destroying objects makes aggressive thoughts and feelings more easily accessible and thereby lowers the threshold for future aggressive behavior . Finally, it was shown that research participants who hit a punching bag after a provocation showed more aggression afterward in the form of administering aversive noise blasts to an alleged co-participant, particularly if they had been told beforehand that lashing out in this way would be an effective way of venting their anger . 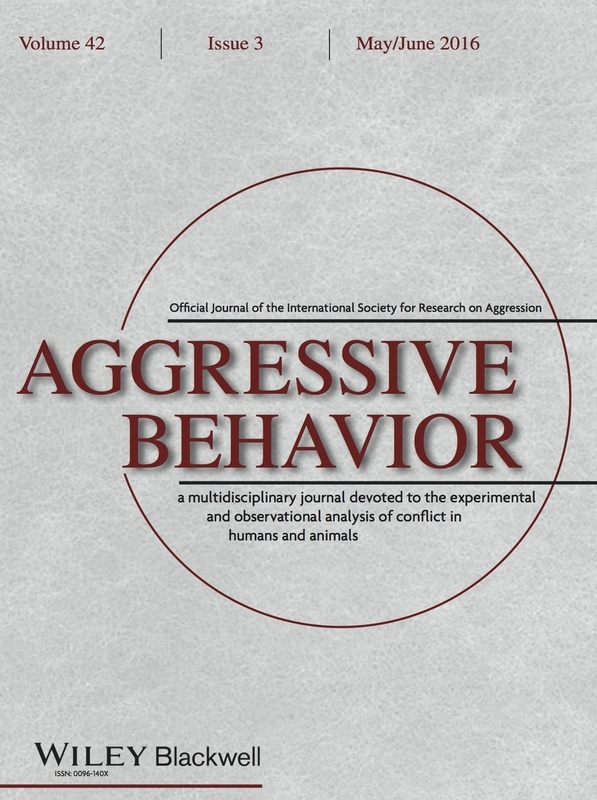 Thus, both theoretical analyses and empirical findings suggest that behaving aggressively in a supposedly “safe” way, be it in an Anger Room or the virtual reality of a theater play, violent movie, or first-person shooter video game, may not only be ineffective but even counterproductive as a strategy for pre-empting or reducing aggressive behavior (see  and  for more thorough discussions). Clearly, anger is an intense and aversive emotion, and finding effective ways of getting rid of it is an important task. However, spending significant amounts of money in an Anger Room is more likely to fill the bank accounts of the owners than to make their customers peaceful and agreeable. Eliciting positive emotional states that are incompatible with aggression—for example, by handling a cuddly toy—is a more promising (and also much cheaper) approach. Watch for another blog post coming soon, which will say more about this topic. Barbara Krahé is Professor of Psychology at the University of Potsdam in Germany and President-Elect of ISRA. Lorenz, K. (1966). On aggression. London: Routledge. Verona, E., & Sullivan, E. A. (2008). Emotional catharsis and aggression revisited: Heart rate reduction following aggressive responding. Emotion, 8, 331-340. Bushman, B. (2002). Does venting anger feed or extinguish the flame? Catharsis, rumination, distraction, anger, and aggressive responding. Personality and Social Psychology Bulletin, 28, 724-731. Bushman, B. J., Baumeister, R. F., & Stack, A. D. (1999). Catharsis, aggression, and persuasive influence: Self-fulfilling or self-defeating prophecies? Journal of Personality and Social Psychology, 76, 367-376. Gentile, D. A. (2013). Catharsis and media violence: A conceptual analysis. Societies, 3, 491-510. Krahé, B. (2013). The social psychology of aggression (2nd ed.). Hove, UK: Psychology Press.